1993 SP Football marked the premium brand's gridiron debut. Featuring a high-end feel and tons of rookie cards, the set stands out as one of the 90's best. Like the rest of the hobby, football cards were evolving in 1993. Lots of competition and a shrinking (although still sizable) audience pushed the various manufacturers to come up with new ideas. Just like they did when they debuted with their flagship 1989 baseball set, Upper Deck pushed the limits of quality. When they launched, they were the only company to use premium technologies. By 1993, it was a necessity. 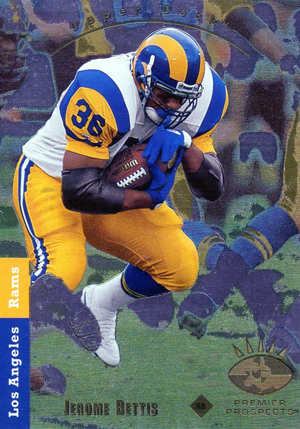 1993 SP Football combines slick photography, glossy card stock and foil. The design is largely full-bleed except for a small stripe at the bottom that has the player's name and position. A foil SP logo floats just above the nameplate on the right side. A foil line runs above it to the top of the card. There it forms an arch that the team name runs along. The first 18 cards in 1993 SP Football make up the Premier Prospects subset. Featuring many of the year's top rookies, the cards use an all foil front. Jerome Bettis, Drew Bledsoe and Garrison Hearst are among the standouts to have a Premier Prospects rookie card. They're not the only rookies in the set, though. Plenty are scattered throughout the rest of the checklist as well. 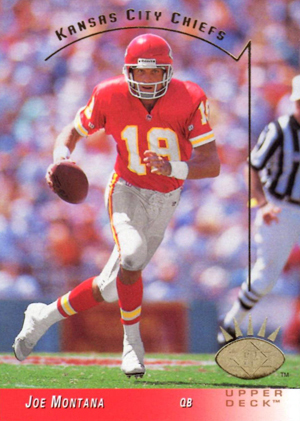 Mark Brunell and Willie Roaf are among the other first-year cards. Regular rookie cards are noted with a foil logo in the bottom-right of the card. 1993 SP Football base set has a 270 cards. All-Pro is the only insert. Falling 1:15 packs, they have a die-cut gold-foil top and a busy background that has their notable accomplishments running every which way in the background. 1993 SP Football boxes have 24 packs of 12 cards. 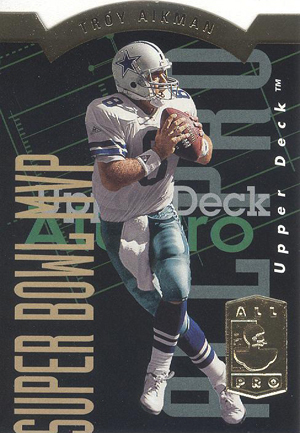 1993 Upper Deck SP Football Set. Stored in climate controlled environment. 15 cards. Inserted 1:15 packs.